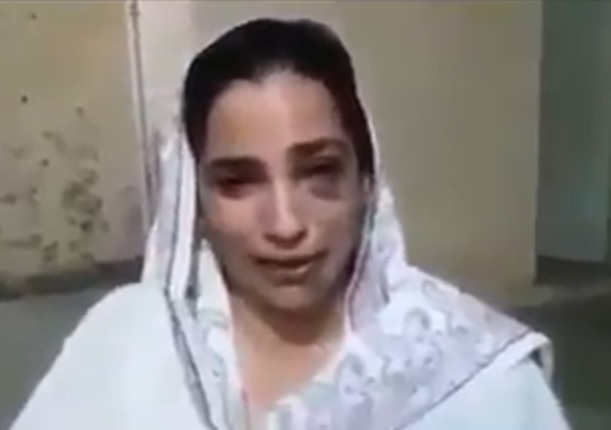 Amid rising cases of domestic violence across the country, a woman from Attock has alleged that her husband and in-laws, including her father-in-law, brothers-in-law and uncle-in-law assaulted her, ripped her clothes and threw her out in the street. “I was married off to Abdullah Faiz, son of journalist Haji Faizyab seven years ago. Just ten days after my wedding I learnt that my husband is an alcoholic and gambler,” the woman, namely Mehreen Bibi, has said in a video making rounds over the internet. She has claimed that after the death of her father five years ago, she inherited property worth Rs6 to 7 million. “My gambler husband used to ask me for money and beat me up over refusal. My father-in-law used to bring customers for me to sell my property to,” Mehreen has said and added that she had decided not to speak up for the sake of her children up till now. “They brutally assaulted me on the night of September 30; tore my clothes and threw me out in the street. My sister was accompanying me and she covered my body with her dupatta as I lied on the road,” she has said. “I appeal to Prime Minister Imran Khan, Chief Justice of Pakistan (CJP) Mian Saqib Nisar, Punjab Chief Minister Usman Buzdar and inspector general of police to provide me justice,” Mehreen has said.